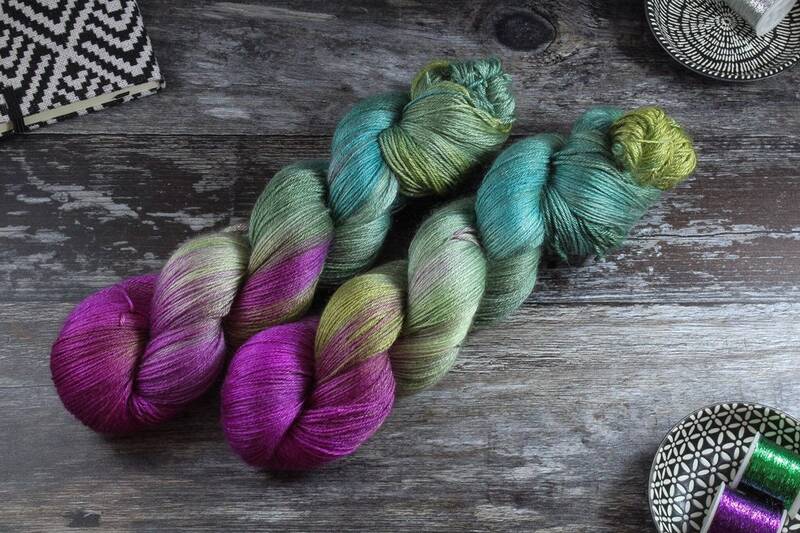 These plus size skeins are perfect for extra sized projects. These are luxuriously soft, made of 55% Superwash Bluefaced Leicester Wool and 45% Silk which gives the most beautiful sheen. The drape this yarn will give will be just perfect for a shawl or wrap (or just smoosh it around your face in a joyful manner). Each skein is approximately 150grams/600meters. Drop me a line if you need more than what is available here and we can arrange a custom batch instead.